Free first 10 lots promotion applies for all products offered by Phillip Futures Sdn Bhd. This promotion is valid only for electronic trading for stipulated products listed in the promotion. Call-in rates are not included in this promotion. This promotion is applied to only new trading account opened and activated from 1st August 2015 to 30th Oct 2015 with Phillip Futures Sdn Bhd – Malacca Branch. The trades must be executed from 1st August 2015 to 30th November 2015. With this promotion, new Malacca client who open account from 1st August 2015 to 30th October 2015 is excluded from free 5 lots for US products from USD promotion. Rebate will be credited by every 15th of the next month. 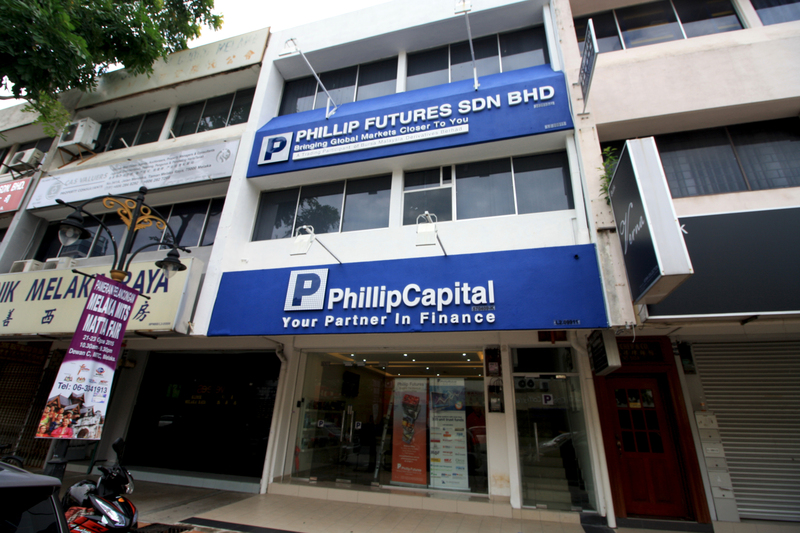 Phillip Futures Sdn Bhd reserves the right to amend or rectify any of the terms and conditions listed above with sufficient prior notice deemed appropriate by the management of Phillip Futures Sdn Bhd. This promotion applies for FKLI and FCPO that are under the BMD exchange provided by Phillip Futures Sdn Bhd. This promotion only applies for intraday trading. This promotion is applied to both existing Malacca clients and new clients that opened and activated account from 1st August 2015 to 30th Oct 2015 with Phillip Futures Sdn Bhd at Malacca Branch. The trades must be executed from 1st August 2015 to 30th October 2015. Prevailing rates will apply thereafter. The promotional rates of RM8.80 for FCPO and RM10 for FKLI are excluded GST charges. This advertisement is for general information only and does not constitute a recommendation, offer or solicitation to buy or sell any investment product. It does not have regard to your specific investment objectives, financial situation or particular needs. Investments are subject to investment risks. The risk of loss in Futures trading can be substantial and you could lose in excess of your initial funds. You may wish to seek advice from a registered representative, pursuant to a separate engagement, and to read the governing Terms and Conditions and the Risk Disclosure Statement carefully before making a decision whether or not to invest in such products.